Why do younger millennials dislike Obama so much? 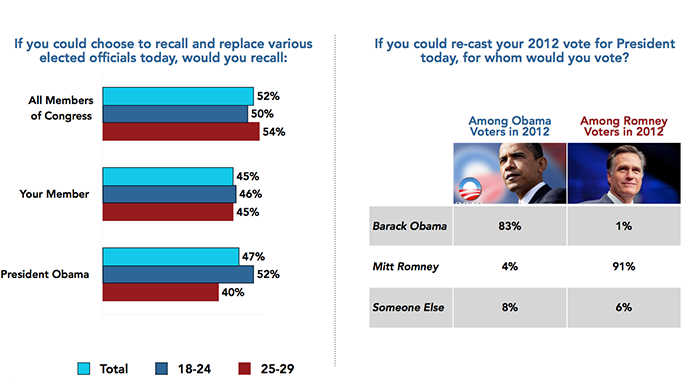 Why Do Younger Millennials Like Obama Less Than Older Millennials? 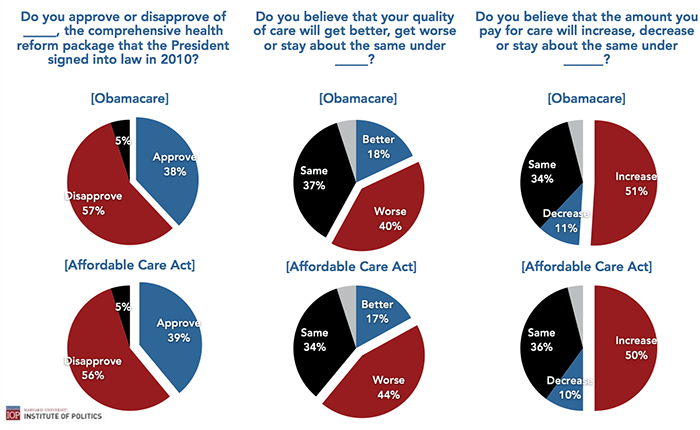 Harvard’s Institute of Politics, which specializes in gauging the political leanings of young people, came out with a poll today showing that millennials are not too keen on Obamacare. As my colleague John Dickerson writes, 57 percent of young people disapprove of the law, and a plurality thinks it will make their health care worse. This is bad news for the White House, since it wants more than a third of Obamacare enrollees to be strapping young adults. Obama’s approval rating among young people is the lowest it’s ever been in his administration, down 10 points from IOP’s last survey. But I found a further rift between millennials interesting—younger millennials dislike Obama even more than their older counterparts. Intuitively, you’d think younger millennials would be more supportive of Obama because his health law allows them to stay on their parents’ plan longer for free. Why is it the opposite? My working theory: Older millennials are more supportive of the president because they were around to vote for him in 2008, and so have a more visceral tie to his policies. I asked IOP pollster-in-chief John Della Volpe if he thought my theory was plausible. He responded, “Not only is that plausible but I agree!” So it may not be so much that the 18–24 set likes Obama less; they just don’t risk their egos as much by not supporting him.